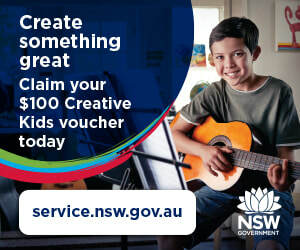 Merrilyn is a registered provider for the Creative Kids program and offers tuition in Singing, Guitar, Piano & Computer Recording for children over 8yrs old. For more details please use our online contact form. Rivertrack Studios produces music that is the ultimate marriage of music and nature. In combination, these elements create peaceful, calm and relaxing atmospheres. Used by individuals and health practioners alike, Rivertrack music has time and again been instrumental in creating a soothing ambient atmosphere condusive to mindfulness, meditation and healing. Merrilyn is a multi-instrumentalist musician, composer/arranger, producer, session musician and music director who is also responsible for the administration and management of Rivertrack Studios. To date she has produced eight albums, the latest of which is 'Flow' - a collection of natural sounds of Australian waterways, set to relaxing instrumental music. Her works vary in genre from Ambient Instrumental, Acoustic, Folk and World. Merrilyn's studio is on the banks of the Darling River in Wentworth NSW Australia. Wentworth is at the confluence of Australia's two longest rivers - the Murray and the Darling and is the gateway to the Australian Outback. The town has attracted many artisans, inspired by the raw beauty and wildlife of this unique region.